Well Mr. CiclaValley, this is your Super Bowl! If I want to live up to this name, I need to produce the greatest guide in Valley CicLAvia HISTORY!! Yes, this is the first event in the 818 and I haven’t had the chance to read any of the other guides, but in my mind I can do know wrong. I excavated large swaths of land searching for early Tongva artifacts. Moon Unit Zappa was hired as my speech coach. I fed my daughter frozen yogurt for weeks. I started my own Cobra Kai Dojo. It was becoming borderline obsessive. When my writing got to the point where I started to include the historical significance of every room in my house, my wife had to step in. I heeded her advice(reluctantly) and decided to pare down this preview to only the essentials. My goal was to include a selection of places that would best exemplify the flavor of this corner of the valley. Not only was it important to talk about the area’s long history and architecture, but also give an idea of where the valley is going. 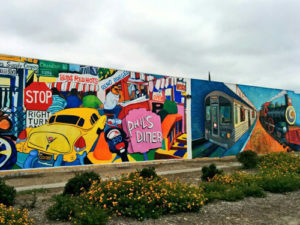 Later this week, I will share other thoughts directed towards the food scene and insider CicLAvia tips, but for now, here’s all the valley you need to know for Sunday! End of the line or start of a new adventure? 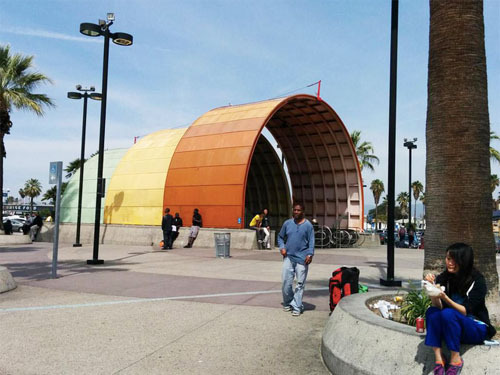 The opening of this Red Line terminus in 2000 ushered in a seismic shift changing the shape of the neighborhood. 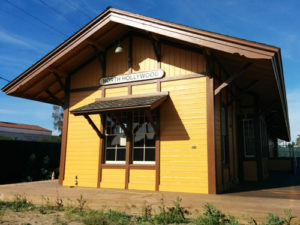 It started the revitalization giving valleyites a true transit option for reaching Hollywood, Downtown and the links within Union Station. With the Orange Line opening in 2005, this station now serves as Metro’s third busiest. Good thing CicLAvia encourages you to use your bikes, since most of the racks are always full! 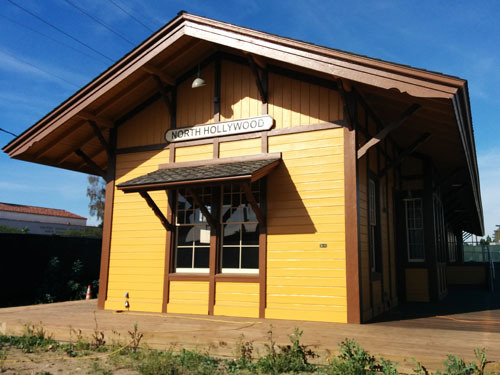 Some people can’t imagine the valley having 19th century roots, but North Hollywood was one of the earliest establishments in the area. The town was originally named Toluca, then Lankershim before it’s final name change to capitalize on the Hollywood boom. While the area started its development in 1887, the train depot became connected to the region around 1893. 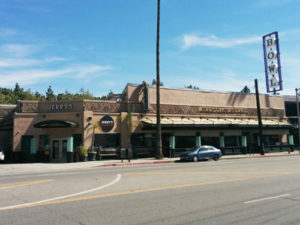 The station was moved fifty feet for the Red Car Trolley line, but served the area until 1958. The depot sold hardware supplies until Metro bought the site in 2000. A long, multi-million dollar restoration finally completed last year, but it’s still not open to the public yet. If you want some great pictures of early North Hollywood, go inside the Coffee Bean just east on Chandler. This landmarked theater has served the North Hollywood area since 1926. 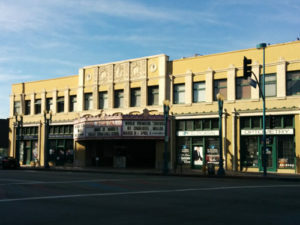 Originally offering 1,400 seats attracting audiences of silent films, vaudeville performances and finally the talkies, the owners decided to subdivide the theater into three smaller ones after the Northridge Earthquake. The stage still attracts many big stars and traveling shows from across the country. The facade has gone through some minor changes during the years, but the beautiful neon marquee still lights up the night. While the theaters only opened in 2011, the mention is being made here to credit one of most active cycling supporters in the city. Greg and Tish Laemmle have done everything humanly possible to proliferate the cycling movement. Through their many donations, hosting rides, political involvement, participation with the LACBC and funding Operation Firefly, they have set a standard that motivates all advocates. There’s even one of those special bike racks in front of their theaters. I also appreciate that in the time of netflix and movie megaplexes that the Laemmle’s decided to investe back into the community. 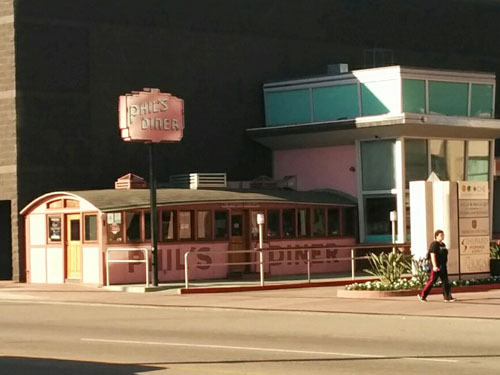 Built in the 1920’s, around the same time the Pacific Dining Car opened, Phil’s Diner sits lonely along Lankershim sitting dormant since 2011. The restaurant used to sit on the opposite side of the street and remained shuttered for many years. Phil’s reopened after a $1.1 million dollar renovation, but the restaurant closed before completing it’s first year. If you want to own a piece of San Fernando Valley history, please inquire within. This would have been one of CicLAvia’s highlights, but unfortunately the Television Academy picked the wrong year to for its expansion. 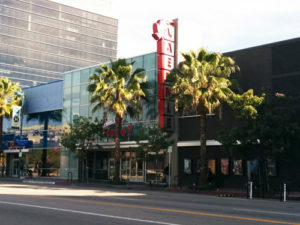 Normally, you would be able to wander this plaza with a number of statues recognizing the small screen’s biggest stars. A 25 foot hall Emmy statue serves as the centerpiece, which begs the question, can something that supersized be considered a replica? If you want to view some of the statues, they are temporarily on display at the Valley Relics Museum in Chatsworth. Even though Pitfire Pizzas are now spread across the southland, this one holds a special place in my heart. 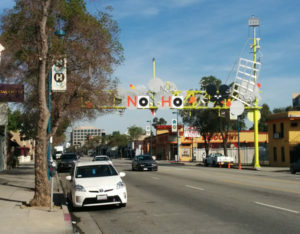 Opening in 1998, this is the original location and was what spoke to me as the first sign of the NoHo Renaissance. The courtyard is open and inviting and I knew this was the type of place I could always spend a relaxing afternoon. 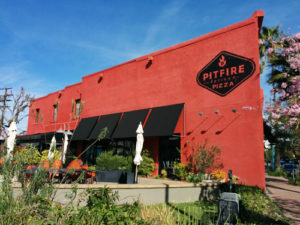 When my wife and I moved to Valley Village in 2011, being nearby Pitfire was a big selling point. Let’s not forget to mention that their restaurants have supported many cycling events. I’m sure there will be a DJ spinning into the evening after CicLAvia. Grab a pitcher of Sangria and relax! Across the city, you’ll find a number of WPA projects from the 1930’s that contain a little flair, but sit where you least expect them. 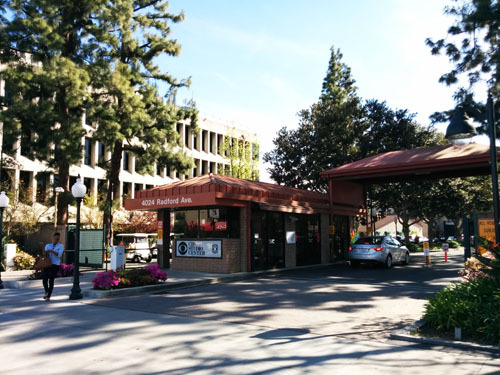 The DWP Building on Lankershim is one of them, harder to spot behind a pair of street trees. 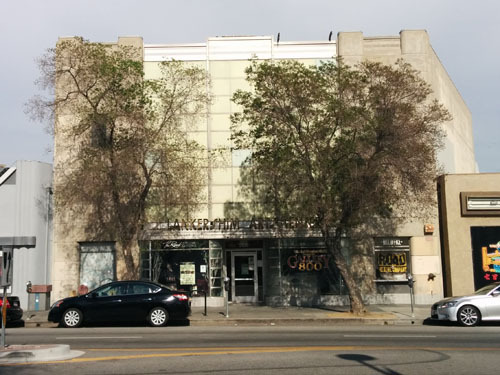 Now serving as an arts center, this Art Deco building can now be found under the Los Angeles Historic Cultural Monuments list. While technically a shade off the route, Idle Hour dominates the monster intersection of Vineland/Lankershim/Camarillo. This recently reopened landmark is one of the most beautiful buildings I’ve laid eyes on in Los Angeles. It remained closed and dormant for decades, but finally greets visitors again after its February opening. With very few examples of roadside architecture remaining in Los Angeles, this is a welcome comeback. 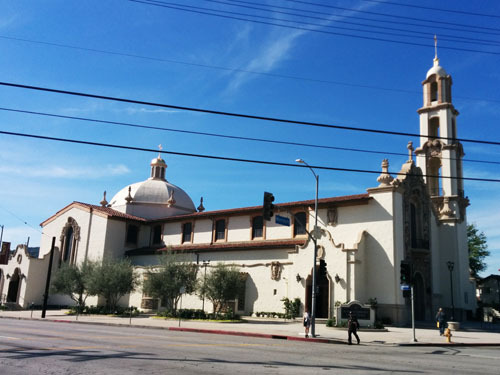 One of the oldest parishes in the valley, this church has been a cornerstone of the community since 1921. 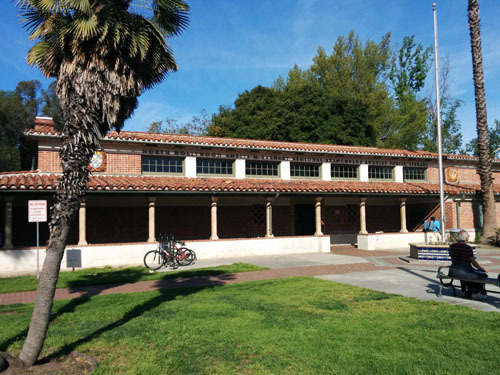 It was originally founded near the El Portal Theater, until it moved down to its current Moorpark site in 1937. The large church that occupies the corner opened in 1959, with a recent renovation that closed the building during the Christmas holidays. 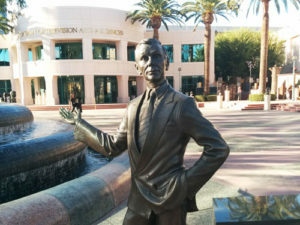 Many of Hollywood’s top stars have attended mass and is also remembered as the site of Bob Hope’s memorial service. If the Valley has no history, then California has no history. This is the site where hostilities ended for the Mexican-American War in 1847. The two sides fought days earlier in Vernon and Pico Rivera with ultimately a treaty formally signed between Lieutenant-Colonel John C. Frémont and Governor Andreas Pico. The adobe was demolished in 1900 and replaced by the current structure in 1950 while there are still remnants of the original foundation. Don’t forget to look at the mosaics in the subway station that gives a beautiful history of the Campo(it’ll cost you $1.75). CicLAvia is just going to miss the exact 100th year anniversary of this lot by about a week. 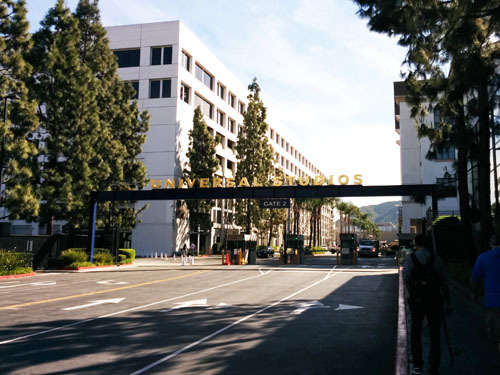 Carl Laemmle Sr. founded Universal Studios in 1912, but moved operations to this lot shortly thereafter where it became the largest production facility in the world. After some struggles, the studio changed hands a few times over the century. The theme park was added in 1964 under the new ownership of of MCA. Citywalk later opened in 1993 and the studio is continuing to grow, currently going through a large expansion, pardon our dust. 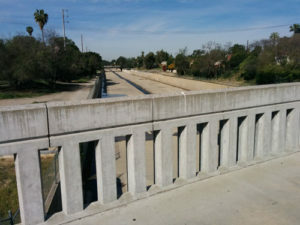 East of the North Hollywood Red Line station lies a 2.8 bike dedicated path stretching from Vineland to Mariposa in Burbank across a former rail line. The NoHo segment is highlighted by a number of murals using every color on the palette, while the Burbank section contains grassy areas where it’s nice to kick back with a book. 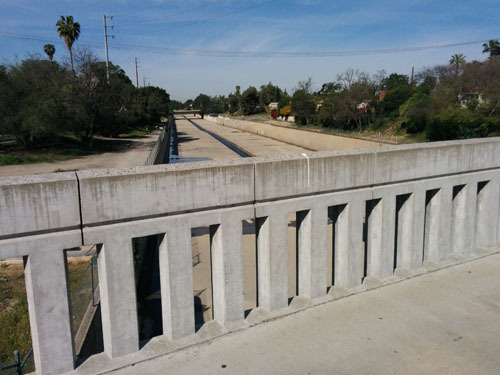 In the opposite direction from the NoHo station, the Orange Line bike path connects with the West Valley eventually terminating in Chatsworth. In the heart of North Hollywood Park lies the library that now honors Amelia Earhart, one of the valley’s most famous citizens. Earhart owned a home in Toluca Lake and took many flights out of Burbank Airport. You’ll find a long standing statue on the corner of Magnolia and Tujunga celebrates the aviator’s life. The library itself dates back to 1930 and is one of the few in the system that opens on Sunday. If you’re cycling to CicLAvia from the east, Bob’s Big Boy stands out with its iconic statue and marquee. Built in 1949, this restaurant serves as the oldest remaining Big Boy still retaining its original character and popularity. Every friday night, the parking lot fills with classic cars bringing the area’s biggest enthusiasts, including Jay Leno. Inside, the restaurant also notes the booth where the Beatles ate in 1965. Whether you come to eat or not, stop to take your picture with Big Boy as every red-blooded American should. While the area is filled with a plentiful amount of gorgeous homes that elicit envy, there are a few that should be pointed out. The Bob Hope estate is the largest residential property in the area, including two pools, large green spaces and a guest house that’s larger than what you live in. It’s hard to believe it’s already been twelve years since his passing, but the complex has been up for sale for months with the hope of a new buyer preserving the property from subdivision. 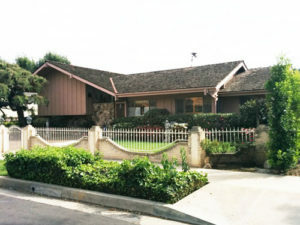 Nearby, you’ll find other homes that exemplify the luxurious ranch style of living in Toluca Lake, including those from Roy Disney and Bing Crosby. Even before I got into cycling, I knew this was a special restaurant. When you get sucked in by the aroma blocks away, you know you’re getting something good. Top Chef alum Alex Eusebio and wife Sara Mann put together this Toluca Lake staple that serves breakfast, sandwiches and salads with a variety of savory ingredients. Alex and part of his staff are avid cyclists as evidenced by the bike rack they place out everyday. There always seems to be a bike parked in front and there’s a 10% discount for LACBC members. If you’re coming from the Griffith Park/Burbank area for CicLAvia, stop by for brunch. When driving along Ventura Boulevard, you may notice a number of motor lodges that contain a Route 66-era type of charm. While this stretch was the closest thing to a highway back in those days, very few of these structures still remain. 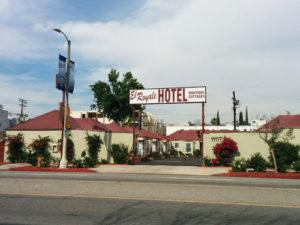 The El Royale Motel dates back to the 1930’s and is located near Vineland, where the Red Car used to take its final turn before heading through the Cahuenga Pass. 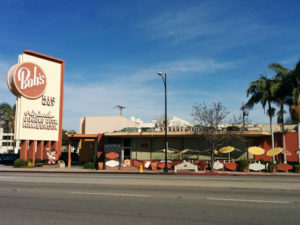 One of the valley’s landmark gay bars, Oil Can Harry’s has been serving Ventura Boulevard since 1968. The building is hard to miss with its iconic sign featuring the cartoonish figure in a rakish tophat. Unfortunately, DanceLAvia is not making its way into the valley this year. If there’s anyone to fill the void of dance tunes, this should be the place. 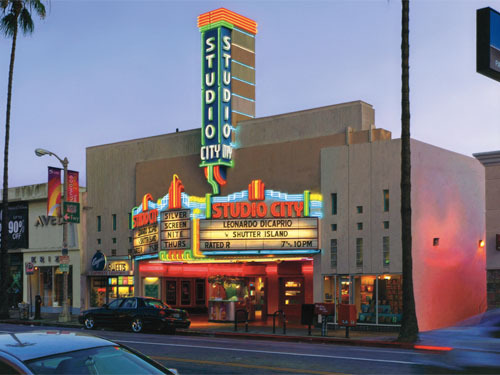 Created to honor the many great movies, television shows and actors that produced work in the neighborhood, the Studio City Walk of Fame is a standing history along Ventura Boulevard. 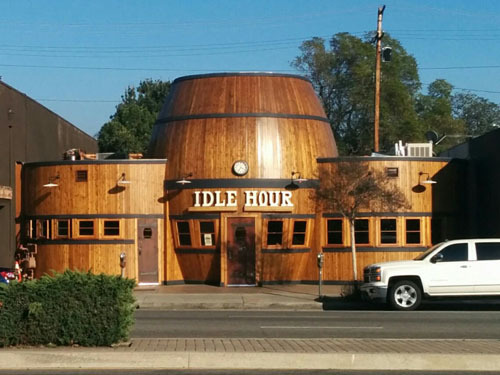 Along the way, you’ll find tribute to John Wayne, Orson Welles, and Alfred Hitchcock, as well as reminders that “Seinfeld,” “Hill Street Blues,” “Leave It to Beaver,” “Rawhide,” and “Gilligan’s Island” were all shot here. The CBS Studio Center has served the valley in many incarnations since 1928. 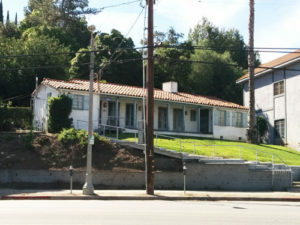 Mack Sennett originally established this lot trying to expand his movie empire, ultimately going bankrupt five years later. The studio was sold off to Mascot Pictures for a short time until Republic Pictures took hold in 1935. 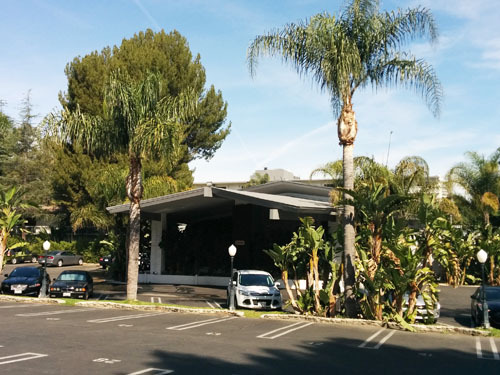 Focusing on B-rated movies, this studio helped launch the careers of John Wayne, Roy Rogers and Gene Autry. 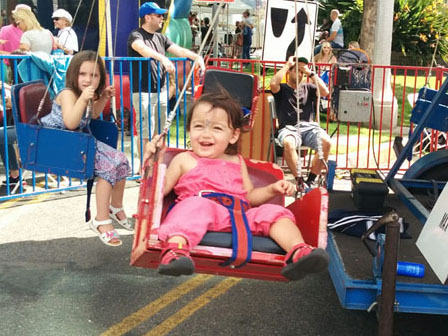 Republic ceased production in 1958, but those years are still endeared in the community today. CBS began leasing space and bought control of the lot in 1967. It is more recently known as the spot where Seinfeld, Newhart and the Mary Tyler Moore Show were shot among others. On top of being a busy production facility, the studio serves the community in many capacities, including hosting neighborhood council meetings, providing parking for the farmers market and holding their 4th of July fireworks spectacular. Continuously noted as one of the best farmers market in the city, Studio City’s won’t be hard to miss. 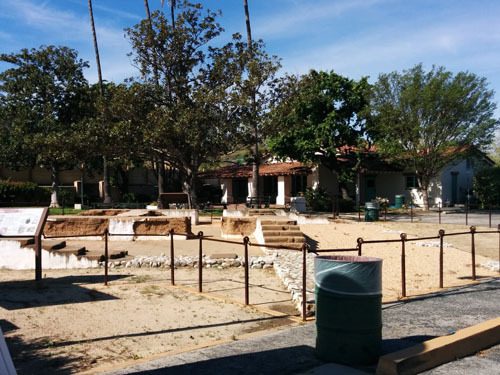 Ventura Place, which veers just off the main boulevard, will perhaps be the most crowded spot along the route. With a number of food venders, farm offerings and children’s activities, you could spend a significant amount of your CicLAvia time here. Founded in 1957, Art’s stands as the neighborhood’s most venerable eatery. This restaurant holds a soft spot in my heart as my grandmother would always demand a sandwich here when visiting from Toronto. There’s no real bells and whistles when you come in, just great deli. 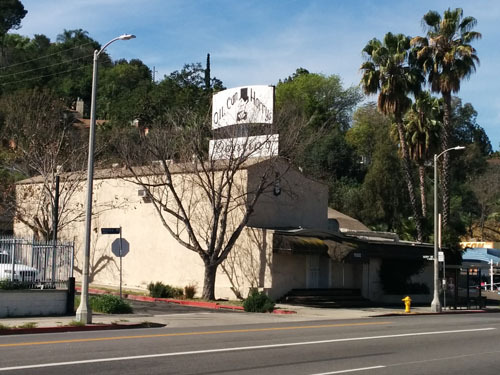 It is one of the most essential institutions on Ventura Boulevard, having just lost founder Art Ginsberg in 2013. The deli is still family run and while updated, retains its character of serving the community. 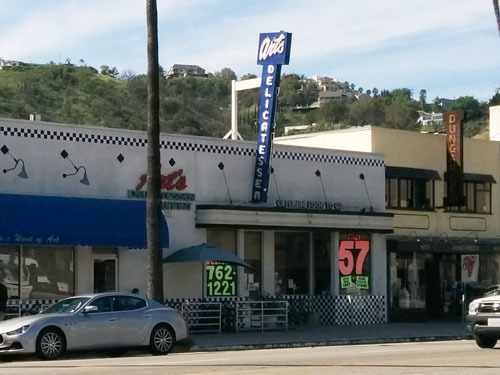 Even as this deli empire now has multiple locations across the city, the Studio City serves as the original site opening in 1978. While it’s been through some changes, none transformed the look more than a 2002 fire that took a year and a half to rebuild. 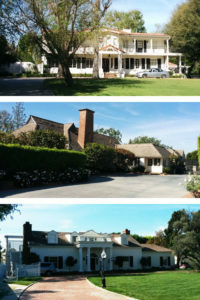 To say it has been a focal point for Hollywood’s stars is an understatement. From my personal list, I’ve seen Jon Voigt, Ed Asner, Fritz Coleman, Ed McMahon, and Luke Perry just off the top of my memory. Even Andy Kaufman worked there in the middle of his stardom(only something he would pull off). My best memory was seeing Will Smith eating while surrounded by his large entourage when a someone fell on the floor into convulsions screaming his name. That person was Tracy Morgan. While the property now serves as Silversmith’s business(I think it’s a production company), the home was host to one of the valley’s most notorious murders. In 1928, John Irving Glab, a wealthy retired druggist, was found bleeding to death in his driveway unable to name the shooter while dying on the way to the hospital. The police suspected his wife Hazel, who was heard arguing with her husband days before, but avoided charges as her friend aided her story. Eight years later, Hazel’s next husband died mysteriously leaving a will that was determined to be forged. Hazel was found guilty this time and Glab’s case was reopened gaining her second murder conviction within a year. Seated here in various forms since the 1880’s, there is no other place that still exudes the valley ranch lifestyle than Sportsmen’s Lodge. Yes, it has had many additions and a recent modernization, but still retains its low key where you’ll find stars from Republic Studios golden era still frequenting the grounds. If I could plan my perfect CicLAvia day, I’d spend the night in the lodge and grab a hearty brunch before rolling out the next morning before finishing the evening relaxing by the pool. Damn responsibilities! 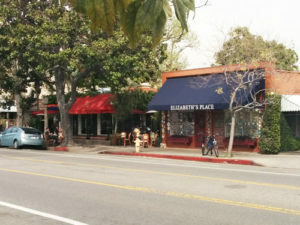 If you take the Tujunga bike lanes a half mile north from Ventura, you’ll find a quaint little set of eclectic restaurants and shops. The Aroma Coffee & Tea always has lines out the doors for their wide menu and casual atmosphere. 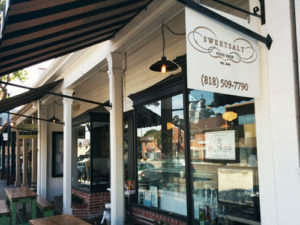 A few stores down, the Gelato Bar & Espresso Cafe is known to have some of the best desserts in the valley. Across the street, Vitello’s Italian Restaurant is a local favorite drawing in many stars, including Robert Blake’s infamous last meal. Just off of the LA River, one of the most famous television homes stands in a almost the same condition you remember it forty years ago. You’ll find a person go by every few minutes wanting their picture taken, so please do not disturb the occupants or the neighbors. Especially, Marcia! Marcia! MARCIA! 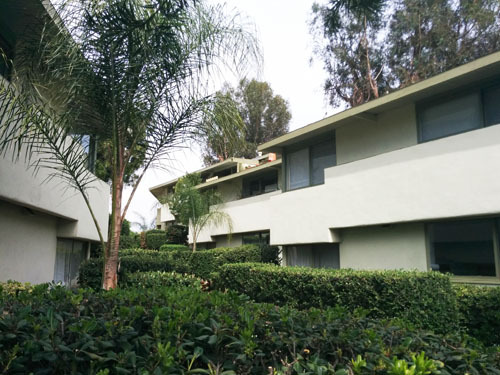 As one of the most important modern architects in Los Angeles history, Rudolph Schindler designed this apartment complex overlooking Ventura Blvd. as one of his last commissions in 1949. As a Frank Lloyd Wright disciple, Schindler is credited with over twenty buildings across the city, many that still stand today. Designated as a landmark, the apartments have avoided the wrecking ball and even were spruced up a few years back. 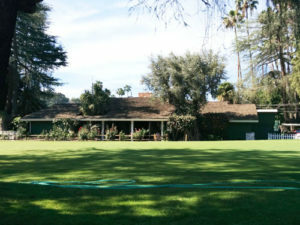 This mid-century golf course plays another large part in the community showcasing the early valley lifestyle. Most come to play a round or hit a few range balls, but you won’t find anyone in a rush to do it. Although there was been many threats to replace the course with condos, the course is still seen as a local hangout. The skipper Alan Hale used to hold court here and many celebrities come to sharpen their game. Rent some clubs, play a round and you’ll be out of there within a couple of hours.